Announcement *** Due to official regulations, I no longer work with Paypal. I can offer you other payment methods. WE ACCEPT PAYMENTS THRU SHOPIER. Shopier is a trusted company for the payment processes. Similar to Paypal, shop owners cannot access credit card information, that is secure for my customers. Etsy and Shopier keeps your payment information secure. Etsy shops never receive your credit card information. ● ( www.anils.etsy.com ) ●●● Fatwoman & Anils save your money! *** Due to official regulations, I no longer work with Paypal. I can offer you other payment methods. Beautiful scarf! Good communication with seller! I am so glad for the opportunity to express my disappointment when I opened the bag the scarf was in. The photo makes the scarf appear as if it is a quite large piece of material, to make the beautiful swirl around the neck as shown in their photo. Yes the material was beautiful but and it is a big BUT..the scarf would only look as the photo if it was on the neck of a six year old body. It was One Third of the size it should have been. For near $40.00 and shipping I would not buy another item from this company. Thank you for letting me tell my story. Royal Blue Crochet cotton filet tote bag. Fatwoman scarves are unique, handmade accessories and sewn by the dedicated team. 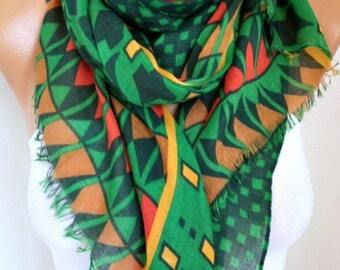 We love to produce our own scarves for people who love to wear them. I want you to be satisfied with your purchase from me. If, for any reason, you are not satisfied, please contact me via etsy conversation and give me an opportunity to work with you. I accept refunds, if either there is a defect on the item or you aren't satisfied. In any case, shipping fees shall not be refunded. Defected products will be checked after received. In any cases(ordering - refunding), buyer must provide back and forth shipping and handling fees. After receiving a package or envelope, calculated item price will be refunded. When you refund, if the product(s) is(are) ruined by the buyer or transporter, price of the order will not be refunded. Refunds may have accepted delivered items only for the first delivery week. One whom is keen to refund at least a production, due to unsatisfaction or exchange, must opt for the same kind of shipping ways for that(these) production(s) sent by the seller. I am not responsible of delays caused by USPS. As the tracking information is removed by the shipping companies, we might not be able to assist you after some time. Therefore, please direct your objections to us prior to first three months. After three months, we are not going to provide support for shipping problems! Please check your address before completing your order. ** Special Handmades are not returnable! We accept CREDIT CARD ( Master, Visa, Maestro)(your credit card should be open to international purchase). We sell wholesale only on ETSY. An order ships in 7 business days after your payment is successfully accepted. All orders are shipped by Registered mail. You will be informed the tracking number. You will be able to follow your orders on web by tracking number provided. Deliveries take approximately two weeks to Europe, 2-4 weeks for USA delivery by Standart Shipping and 3 business days to USA by expedited shipping. In the case of a custom order, we will negotiate shipment date at the time of order. Please contact me to upgrade to the expedited shipping with three days delivery. Orders are shipped internationally. If you have any questions about the cost for international shipping, or prefer a different shipping method, please contact me on Etsy. We are not in charge of custom taxes. Please note that light effect, monitor's brightness, contrast etc. may cause a slight color difference on items. I try to display the color of each item as accurately as possible, however, the actual colors may vary slightly due to camera reproduction and screen/monitor settings. Sizes: Items often appear larger (or smaller) in photos, please refer to the dimensions in the listing for a more accurate size assessment. Feel free to send me messages anytime on ETSY with any questions or special requests. I appreciate receiving your feedback after you have received your fatwoman item. I want to know that it got to you, and that you are happy with it. You represent that you are a "client", whom purchases at least one item, and agree to these Policies on behalf of yourself. Policies may be changed without having been announced. We love to provide various kind of our products as you wish. Please contact with us to tell about your ideas. We would be working hard to provide your request. All the size information is written in the description of each product. Feel free to contact with us, if you are hesitant. We do prepare orders for special days, such as weddings, birthdays, gifts, and so on... If you would like to attach a special note to the order, let us know! We sell wholesale. Feel free to start conversation to benefit from our special pricing offers.